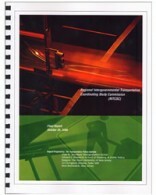 Regional Intergovernmental Transportation Coordinating Study Commission 13 Pages. Presented to the New Jersey Legislature. October 2000.